The financial management process begins with an in-depth evaluation of your current financial situation. Once we`ve established your overall objectives, we`ll focus on your specific goals. 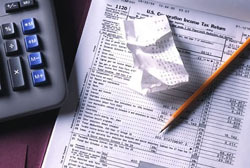 All tax returns are filed electronically.